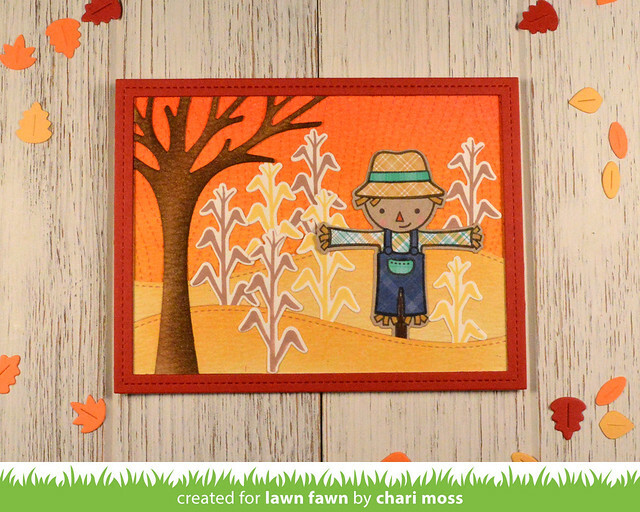 Today I am over on the Lawn Fawn blog sharing a bright and colorful Autumn Sunset card with a video tutorial. You can check out my video on exactly how I created this card below or HERE on my YouTube Channel. Such a cute card! 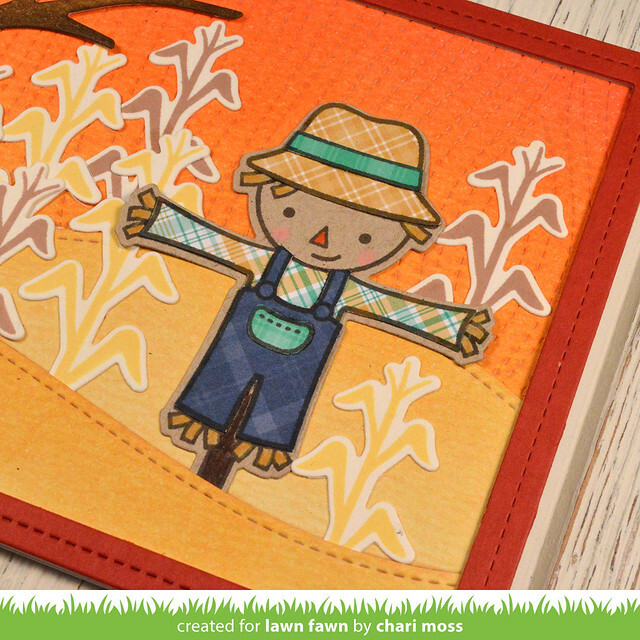 Love the scarecrow and the fun scene you created! I have the Leafy Tree Backdrop die and just love it! So many possibilities! 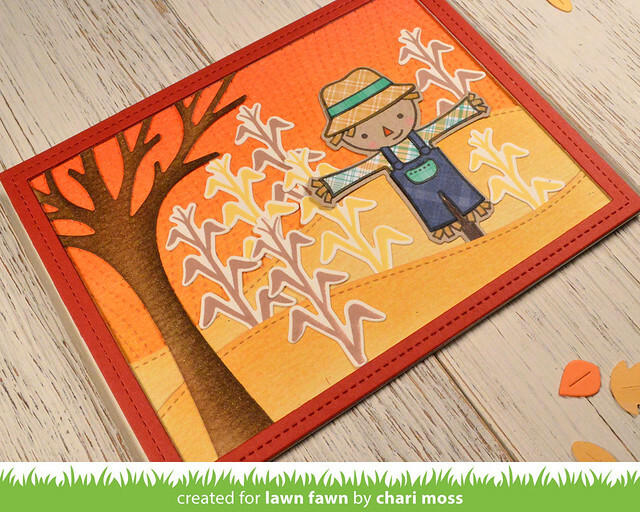 This is an adorable Fall scene. My favorite season and you showcased it well, Chari. That's such a great card !! I love the bright dominant orange !